Pack Size : 5-340mg vials with powder + 5-10ml vials with solvent. 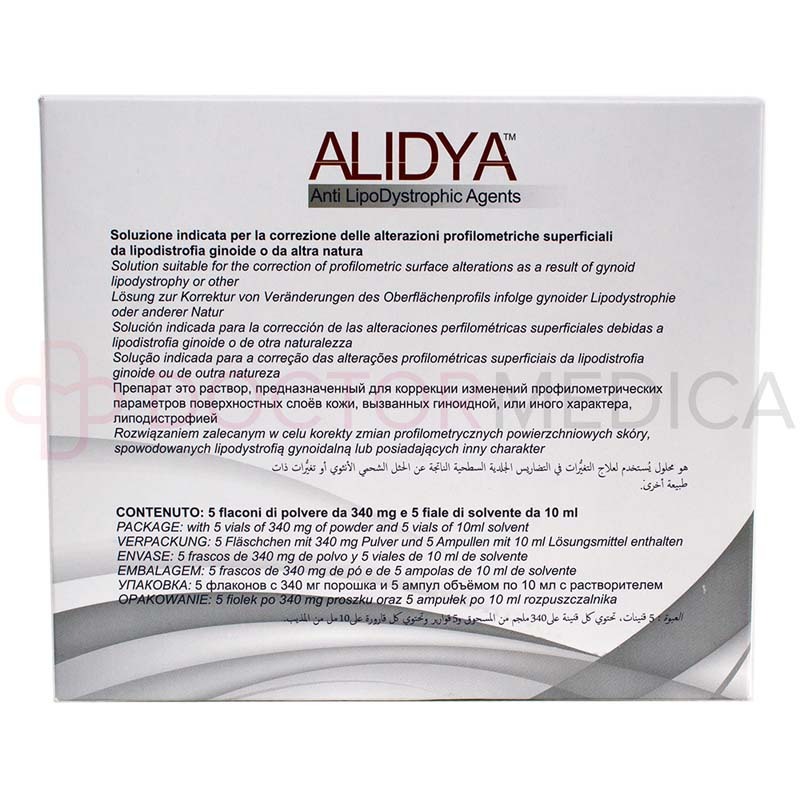 Alidya, a cellulite-correcting solution, can be purchased online through www.doctormedica.co in a few easy steps. On the home page, click on Brands, then Alidya, and finally click on Add To Bag. Fill the order form and payment details for confirming the purchase and the product will reach directly at your doorstep. Cellulite is a common issue faced by many women. This injectable cellulite destructor solution helps to break the cellulite and reduces the lumpy, rough looking skin. It gives a firm and toned look to the injected area, especially abdomen, hips, and thighs. The solution is composed of polyaminoacid gel, glucopyranose A, 1-4 glycosidic, sodium ethylenediaminotetraacetic acid, amino acid buffer system with bicarbonate sodium corrector and omnipotent regulator. These agents help to eliminate toxic cells and restore normal homeostasis. Removes the toxic substances which swell up the fat cells, thus minimizing the cellulite forming mechanism. Helps in restoring the oxygen to the tissue. Restructures the underlying adipose tissue, making the skin smoother and reducing the depressions and irregularity of the skin. Helps in liposuction therapy to improve the functioning of the tissues. Depending on the area to be treated and the amount of cellulite to be dissolved, Alidya is administered for a minimum of seven to 12 sessions, keeping a week’s gap between sessions. 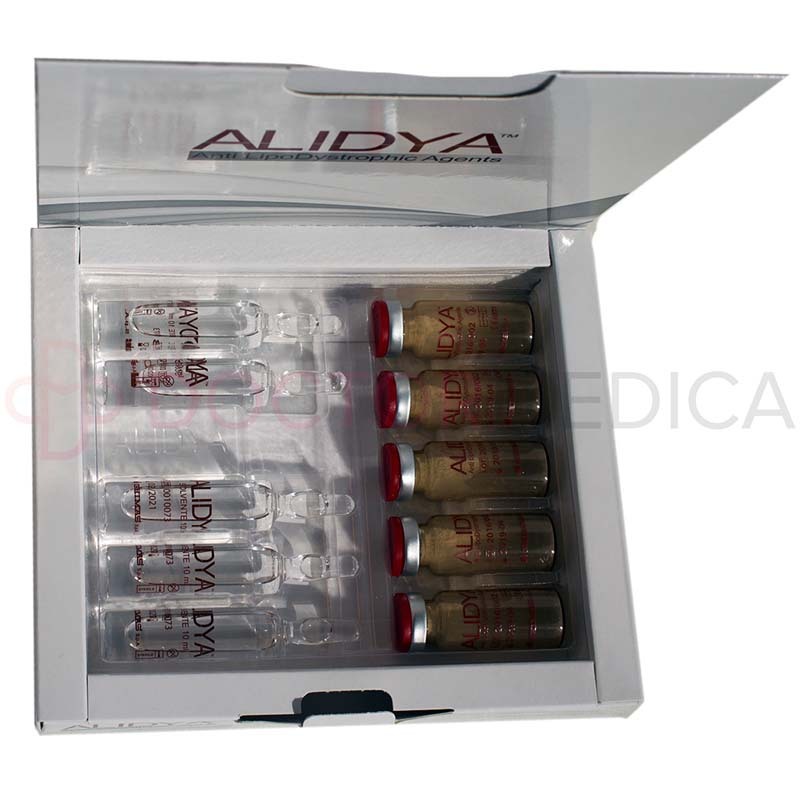 In each session, one or two ampoules can be used. The area should be treated with proper disinfection methods. Use a sterile syringe and transfer the solvent into the powder and shake the vial for a few seconds till the solution becomes clear pink. The solution formed will also have a peculiar odor. The solution is injected with a 30G 4mm needle into the deep dermal layer or by using mesotherapy into the subcutaneous layer. It is also known as localized intra-dermopathy. Micro-bolus injections are given in the subcutaneous areas with 0.2ml or 0.3ml. The solution can also be administered transdermally. For optimum results, massaging the injected area is important. For further details injection instructions refer to the product leaflet. The duration of the procedure depends on the area to be injected and the method used. For certain areas and deep dermal injections, topical anesthesia may be required. Thus, the procedure may take anywhere from 20 to 60 minutes to complete. 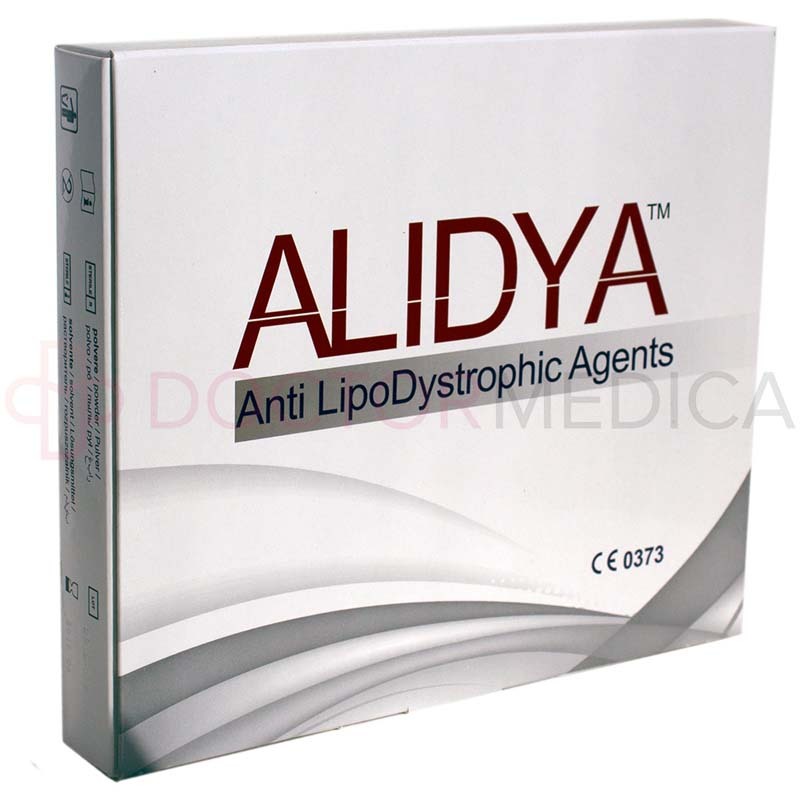 Alidya injections help to eliminate the deposited fat in areas such as the buttocks, hips, and thighs. These injections reduce cellulite, making the skin appear smooth and free from lumps and dimple like appearance. Results are permanent and better results are achieved if the patient follows the exercise and diet routine. For one who is looking for original Alidya products directly from the manufacturers, www.doctormedica.co can be the right choice. It also offers products to be bought in wholesale. You can be assured of excellent service and timely delivery. This is a hassle-free way to shop for original products either online, on email, or telephone. One who shops for fillers worth $250 and above receives them at no additional shipping charges. The customer service associates are ready to answer and attend all your queries from Monday to Friday between 9am to 6pm. Any adult who is struggling to get his/her body toned, especially the areas where it is difficult to break the cellulite naturally can choose this non-invasive method of reducing the adiposity. 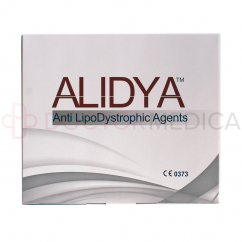 Also, Alidya can be used post liposuction to improve the appearance of the skin. One may experience light to moderate redness. The injections may cause superficial hematomas and bruising. Very rarely, some individuals may experience transient pain or infection. Most of the side effects usually resolve in a few hours or may need primary medical intervention. Refer to the product leaflet for more information. Who can tell me more information about ALIDYA™? Through Doctormedica.co, cosmetic and orthopaedic medications are offered wholesale to licensed practitioners, clinics and hospitals. Go to Doctormedica.co, call 1-866-343-2413, or e-mail info@Doctormedica.co for more information. *Doctor Medica offers only genuine ALIDYA™ manufactured by Ghimas S.p.A. All brands listed here including ALIDYA™ are the trademarks of their respective owners and Doctor Medica is not affiliated with them in any way.